Zee Business, in its recent publication (dated April 05, 2019) featured a story about Square Capital, crossing the $1 Bn. loan disbursement mark, an important milestone for the company. An extended arm of Square Yards- Square Capital, a real estate investment advisory and proptech startup is one such platform where the firm manages the entire borrowing process for the clients. Post analyzing the client’s requirements, Square Capital deduces the best-unbiased advice, ethical procedures and aids the client till the loan is disbursed. 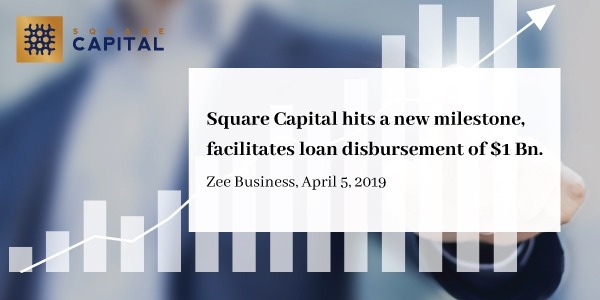 Recently, Square Capital crossed a milestone of facilitating loan disbursement of $1 billion (approx. Rs 6900 crore). “This growth is especially remarkable considering the fact that the entire housing finance & NBFC industry witnessed a chaotic period last year leading to a liquidity crisis and constraining the opportunities for home buyers. Focusing on maintaining a tech-led asset-light model, while remaining unit economics positive at the transaction level, we further aim towards a double fold growth by the end of FY20.” – Tanuj Shori, Co-founder and CEO of Square Yards and Square Capital was quoted in the feature.